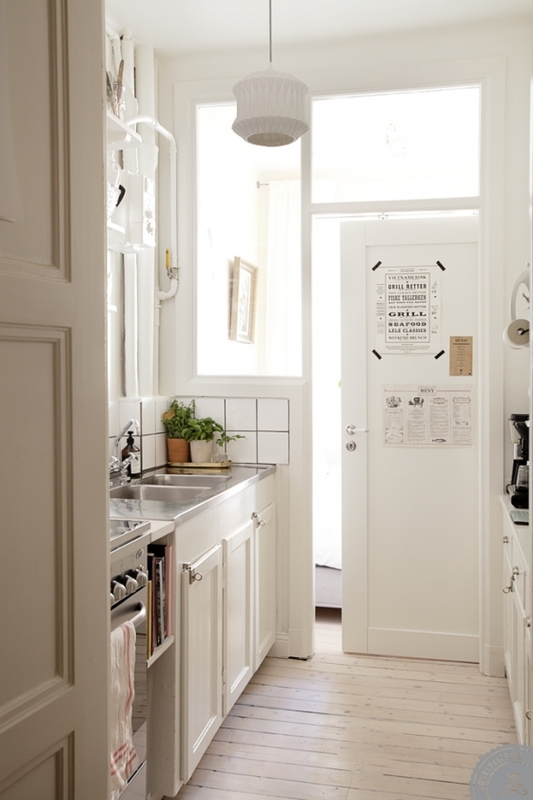 You may remember this Gothenburg apartment back in the spring? It was the former home of Johanna of Lovely Life/Tant Johanna blog fame. Johanna and her boyfriend sold up and moved to Stockholm. This home is actually only 43 metres square. 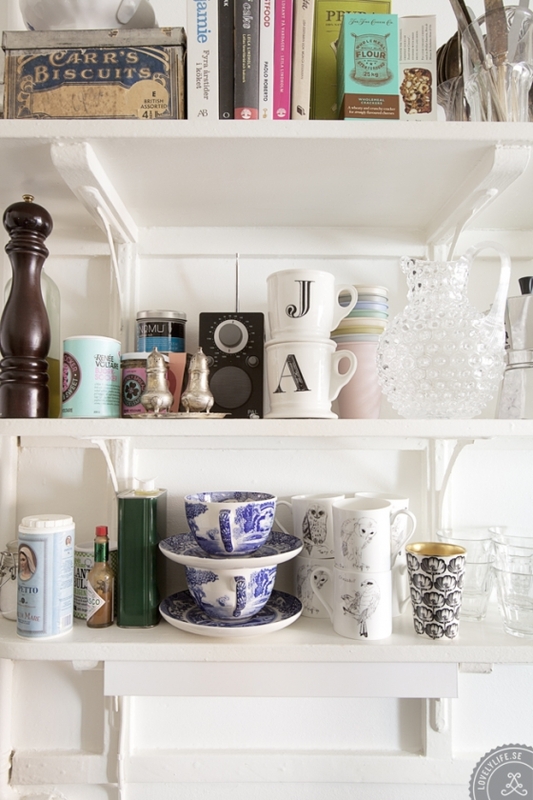 Johanna's top tips for decorating a small space are to use storage to 'swallow up' items, and make use of every single square metre, for example, they also use the hallway as a home office space. Mirrors have been used to bounce light around the apartment and create the feeling of space. The result is a lovely, light, living space which oozes personality and charm. Johanna and her boyfriend are now on the move again back to Gothenburg. They live by the same motto as I do - 'just go, and if it doesn't work out you can always move back again!'. And the good news for us? Johanna will be renovating a new apartment. Follow the developments here! 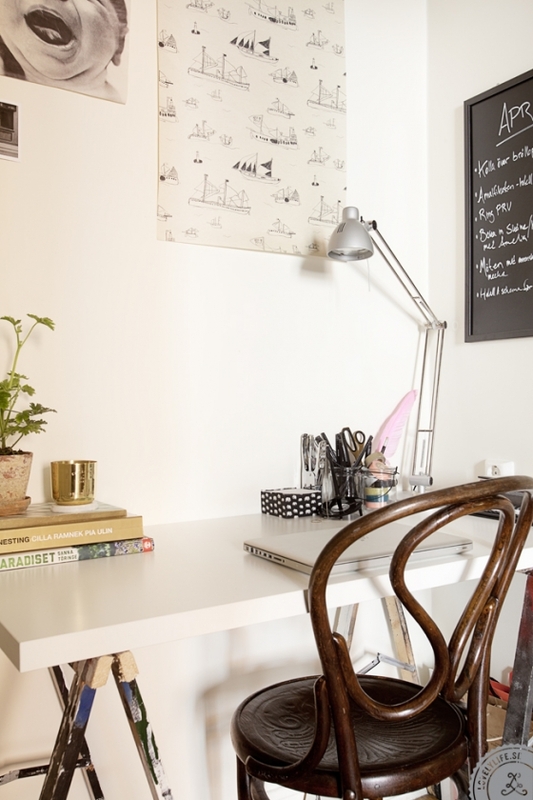 PS For more inspiration on decorating small spaces check out this, this and this apartment. Amazing what you can do with limited space. PPS Have you made any big moves in your life? If so, how did it go? It's sooo beautiful!! That's exactly the style I love!! Haha! I'll have to do that! It's such a lovely apartment isn't it? Love the Thonet chair ! So many wonderful ideas for small spaces! From the three links in your PS, i really like the first one. It's so light and combines old and new. I love it. I love the beautiful white office furniture office in the apartment. 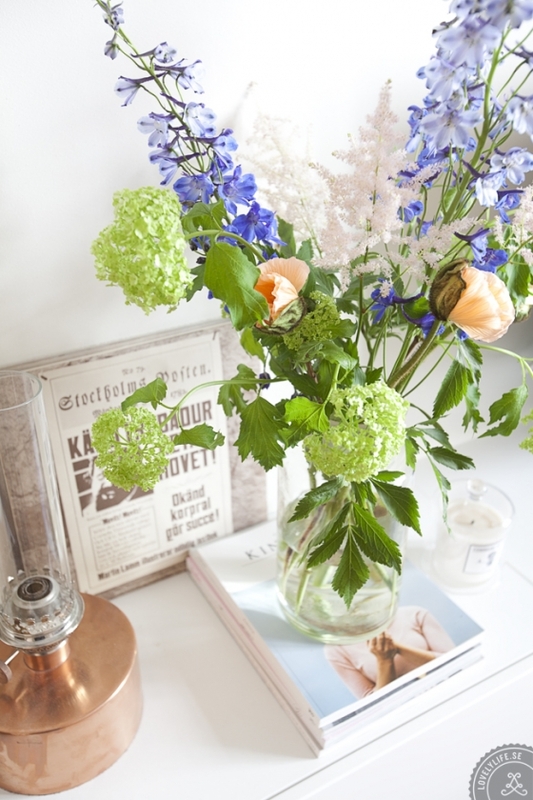 The flowers make the room look so bright and welcoming! Beautiful work! Your rooms are gorgeous! I love the antique look of the stylish office chairs you included at the desk area!